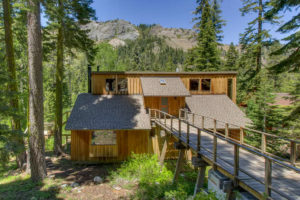 Home > Price Reduction in Alpine Meadows! Price Reduction in Alpine Meadows! 2140 John Scott Trail – in Bear Creek HOA! Perfect, comfortable property to come home to after a long day of skiing or hiking! There are two master bedrooms with en suite bathrooms and two more additional bedrooms creating plenty of sleeping space. The bathrooms have recently been redone to include new cabinets and heated floors. Relax on one of the back decks and take in the picturesque mountain views. Moments from Alpine Meadows Ski Resort, Five Lakes Trail, and numerous other outdoor opportunities.